Literary web series Classic Alice today published the first issue of its new interactive literary magazine, Olenska's Quarterly. In the world of the show, Olenska's Quarterly is a graduate student publication at Alice's Valeton University - and now an online version (http://olenskas.valeton.org) exists in the real world as well, featuring stories written by fans! “I am so proud to be able to supplement our fans’ incredible interest in the written word by giving them a cool space to CREATE in addition to weaving classic stories into new ones," explains show creator/writer/star Kate Hackett. The first issue includes fiction and poetry by several fans as well as a story by actor Chris O'Brien, who plays Alice's nemesis Ewan. The magazine is now accepting submissions for future issues at olenskaq@gmail.com. All fans are invited to submit their work for consideration. 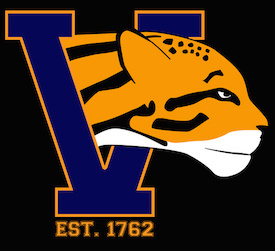 There are exciting developments at the Valeton school store (https://society6.com/classicalice) this fall as well, with the unveiling of the new Valeton Fighting Ocelots logo - available on hoodies, mugs, and more - as well as the launch of an in-world contest for Valeton students to submit designs - to be voted on by other students as well as fans! Follow Valeton University on Twitter (http://twitter.com/ValetonUni) for contest updates. Classic Alice has recently added two other new designs to their store, including Alice's Bring It On Books catchphrase and the new Classic Alice Life logo. Check out all the current designs, available on dozens of products, at the show's store (https://society6.com/classicalice). Behind on Classic Alice? Or ready to jump in for the first time? The beginning of the semester is the perfect time to catch up. It's easy - just watch this playlist or experience the episodes and in-world transmedia together on the Narrative page. New episodes appear on the show's YouTube channel every Tuesday and Thursday at 9 a.m. PDT.